‘Screamadelica’, the third album by Scottish indie-rockers Primal Scream, was a departure from their previous recordings. Taking up the baton from Madchester’s Indie-Dance exponents, the Happy Mondays and the Stone Roses, Primal Scream put their finger firmly on the pulse of cultural change, triggered by the Acid House movement of the late ’80s, and instinctively set about soundtracking it, capturing the essence of the era more than any other album – it was a zeitgeist bullseye. DJ Andrew Weatherall played a crucial role. Having given the bands second (self-titled) album a favourable review in the Boys Own Fanzine, he was approached to remix one of its tracks, ‘I’m Losing More Than I Ever Have’. What resulted was the stunning hybrid offspring, ‘Loaded’, which would become one of the defining tracks of the period following its 1990 release, giving Primal Scream their first UK hit (reaching #16). The title was taken from the dialogue sample that starts the track, which had been lifted from the 1966 Hells Angels flick, ‘The Wild Angels’, with actor Peter Fonda’s words resonating loud and clear a quarter of a century on – ‘we wanna be free, we wanna be free to do what we wanna do, and we wanna get loaded, and we wanna have a good time, and that’s what we’re gonna do…’. It was a genius juxtaposition, setting the ideal mood for this mainly instrumental downbeat groove, which Muzik magazine would list as one of its 50 most influential dance records, describing it as ‘something akin to ‘Sympathy For The Devil’ for the E generation’. The unmistakeable influence of the drug ecstasy is etched into the grooves of ‘Screamadelica’. Bobby Gillespie, the band’s vocalist, is said to have taken his first E at one of the Shoom nights in Manchester, which were held at Legend, the club where I had my greatest DJ highs back in the early ’80s (Shoom, of course, being the seminal London Acid-House night which began in 1987). He was introduced to ecstasy by Creation Records supremo Alan McGee, and described it as a mind-opening experience, which certainly sparked his creativity. Weatherall, in conjunction with Hugo Nicholson, headed up a pool of producers that also included The Orb, who worked their magic on the super-chilled ‘Higher Than The Sun’, and Jimmy Miller, the former Rolling Stones producer, who very much evoked their spirit, helping kick things off in style with ‘Movin’ On Up’, before, later on in proceedings, bringing the mood deep down with ‘Damaged’. Well over a year prior to the eventual album release, I remember hearing ‘Come Together’ (the follow-up single to ‘Loaded’, and subsequently another top 30 hit) for the first time – it was at Red Alert, the Manchester-based radio pluggers whose office was in 23 New Mount Street, the building that housed half the city’s music-based companies at the time, including my own Murdertone Productions, which looked after the crew I managed / produced, the Ruthless Rap Assassins. They had some 12” white labels, one of which I was kindly given, and I was blown-away with the pace, build and atmosphere of the Weatherall mix (running at an epic ten minutes plus), which would appear on the album in preference to the vocal Terry Farley mix, the A Side of the single. As with ‘Loaded’, the track starts off with a spoken sample, this time the Reverend Jesse Jackson’s invocation at the 1972 Wattstax music festival (hosted by Stax Records at The Coliseum stadium in Watts, Los Angeles). Being someone who was heavily into sampling from movies and TV, via my work with the Rap Assassins, I was hugely impressed, and later down the line, when I put together my Essential Mix for BBC Radio 1 in 2009, I nodded in the direction of ‘Come Together’ by using a variant of the Jesse Jackson speech on the opening and closing tracks. ‘Screamadelica’ was both a critical and commercial success, peaking at #8 on the UK album chart, whilst it would go on to pick up the inaugural Mercury Music Prize in 1992. Further acclaim would include it’s placing at the top of Select magazine’s albums of the ’90s, and the runner-up spot in the ‘Best 50 Album’s Of Q’s Lifetime’ list. Following the release, I saw Primal Scream in Manchester – complete with vocalist Denise Johnson, who was making a triumphant return to home turf (I knew Denise, who also worked with A Certain Ratio and Electronic, as well as recording her own material). Andrew Weatherall was deejaying that night and I remember briefly chatting to him on the tour bus after the show about a track I’d produced the previous year, which he’d picked up on – a cover of the Jefferson Airplane’s ‘White Rabbit’ by Mind Body & Soul. Spotted this album on the shelf of very good friend who’s also musician and philosophy teacher. When I gave it a listen…well, it’s brilliant one! thank you for the links to “wild angels” and the jesse jackson speech! “loaded” and “come together” always gave me shivers of joy and I still carry the orginal vinyl 12″ around with me, when I play out on parties. “living to music” is a beautiful title for these sessions. I remember hearing a white label of ‘Loaded’ I think played by Andrew at a Roy the Roach do called M&M’s in late Summer ’89 and being blown away. I had been following the Mondays around and stuff for the past couple of years and was pretty much an indie kid, but had just had my first taste of E, so this record kind of brought everything together for me. Ended up dancing with Bobby G at Flying and other London clubs and meeting my wife around the time of ‘Higher Than the Sun’ so it really is the soundtrack to my young life. So many memories. I was an indie kid and remember the whole period of indie dance, Weatherall remixing My Bloody Valentine and the like. Loaded to me was so confusing, the notion that a track could be taken apart, the vocal removed and samples from movies added. But it just all made so much sense. The excitement when this album came out in the music press made it a must to go and buy. I was in for such surprise, it was not the bleepy house thing I had expected. The references to the Stones, Soul music and so much more. Moving On Up is such an appropriate place to start, setting the tone for the album. Slip Inside this House still sounds warped and druggy. The album really made sense to me when I saw the band headlining at Feile in Ireland. The weather had been hot and dry all day. The band came on Don’t Fight it Feel It was their opening track, and as the strobes kicked in the heavens opened. It all made such sense to me in a way that had never happened before. The huge bass, the pianos, soulful vocals, I just wanted to dance and sing along all night. Higher Than The Sun, soundtracked so many of my raving comedowns. I heard it on a mixtape just this week and felt euphoric recall of so many times chilling out, blissed out. It almost makes me want to return to all that madness. Though thankfully the recall is all I need these days. There are times when I feel the album is more the work of the producers than the band themselves. To me Primal Scream have never managed to do anything as interesting or shocking as this. Their return to being a Stones tribute band was such a disappointment. I sometimes think the producers just had the band jam along and then took samples to make a very interesting album, though the band don’t seem to contribute much in terms of song structure or even vocals. To be fair that pleases me as Gillespie is an amazing front man and character for the press to focus on, though this is not matched by his ability to sing or perform. Come Together is exemplary of this, unless Gillespie has suddenly become an American preacher it is hard to guess what his contribution was. Though this seems to be entirely irrelevant, as the track just has such a driving power even with its slow-mo take on the house pulse. So many long tracks on the album yet somehow they maintain my interest, at no point do I feel the need to skip to the next one. Its so hard when you know an album inside out to have any objective sense of what is good or bad. There are not many albums that convey the heady joy of psychedelics to me as this. The revisitation to Higher than The Sun, even further blissed out by the second half of the album seemed utterly mad to me as a young teen – the same track? on an album? twice? Jah Wobble on bass duties, completely different arrangement etc, as someone with no idea of how music was made or produced it opened my eyes/ears to how much the production and arrangement could change a piece of music. What an amazing album, though for me the credit really lies with the producers. Importance of this record is very big for me. I was 15 years old at the time I heard it for the first time (thanks Antti for borrowing your CD to me in Isosaari 2002) and I did not know what kind of music i might be interested in general but this record really opened my mind. It also guided me to listen different bands. The album sounds still brilliant and it has a huge variety of… well everything. I had a good feeling listening to this with you. I saw Primal Scream 2000 in Nottingham (Rock City). Kevin Shield did not move much during the gig. Thanks for this event and keep up the good work! Listening in sync tonight was an incredible experience. I felt a real connection with others, a true sense of spirituality and feelings for the past, present and future. I’ll share some more when I can get on a pc! This is the first time I listen to Primal Scream. This initial experience with Screamadelica was an excitement journey. This album took me up and down between happy-dancing songs and slow-bit psychedelic tracks. All songs are great, but my favorite is ‘Higher than the sun – A Dun Symphony in two parts’. It was a great to listening full albums and share experiences with a lot of people around the globe. Look forward for the next album. I think Dancing James has said a lot of what I was going to say. It stands out a mile that this album was produced by a dj and yes, the band are secondary to that. However, the blend is thrilling and subversive and a whole heap of major memories are wrapped up in this album for me. It was exciting times musically and culturally. Last night was great in our house. Friends, old and new, coming together to experience and share this album. That was very special. And I had totally forgot about Jah Wobble’s contribution to the album! That distinctive bass style had a huge impression on me back then and was like being visited by an old friend last night. Just love it, from beginning to end. As most comments have said, this is mixed up with great memories, house sharing, freedom, wasted and dancing and laughing and it brought it all back. Saw them at The Phoenix festival and unlike everyone elses comments here, they were amazing!!!!!!!!!!!!!! Great choice, excellent listening, still loving being part of this whole process! Listening to this album was superb! 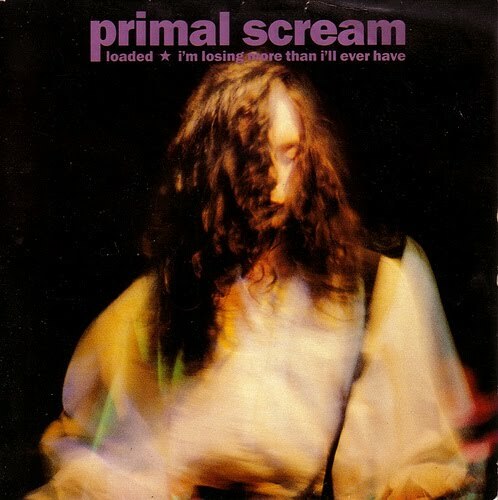 My first experience of Primal Scream came roughly when the album was released. I was with my mum and brother shopping in the arndale Manchester where I heard don’t fight it, feel it. At the time I didn’t have a clue who they were and yet this song would be so prophetic of how I would spend the coming years. I’d never given the full album the attention it deserves before and I think guided my Gregs introduction I certainly felt some lineage listening this time. To me it describes a discovery of the dance scene, getting well into it, being completely out of it, a spiritual awakening and coming down. I found myself grinning through so much of this, the immediate nodding rapidly turned into wanting to get up and bounce around….awesome stuff for a Sunday night! Many years ago it would have been Stu Allen having the same impact! Movin on up- what a beginning, to me this is the discovery of the dance scene…great piano, percussion, gospel backing,so uplifting. It reminds me of amazing grace, a new religion born out of dance culture. Slip inside this house- less rock influenced than the previous track. Twinkly sounding keyboards, thudding pre-jungle rave beats…awesome…nice old school feel to the piano. Sounded similar to the Charlatens on so many levels, echoes of tomorrow never knows at the end…fab! Don’t fight it, feel it- mad chirpy bird sounds, akin to pacific by 808 state. Cool percussion again, more old school loveliness, nice warbling fat bass line running through it. Guitar parts, wicked turbo/warp effects. Higher than the sun, this sounded very similar to New Order and electro to me. Quite clearly well out of it, proper in orbit! Not as complex or long as the others still enjoyed it though. Inner flight- alarms going off, sublime vocals, almost eerie sounding track yet a very real spiritual feeling….a breakthrough moment. The track builds in such a lovely way, could almost be a sunny spring morning…Pink Floyd in here. Come together- Wow! I will never tire of this until the day I die. Physical rushes and quite emotional listening to this. So many good memories flooding back. The whole soundscape is superb and very atmospheric…cool clapping effects, the building of the instrumental, the speech, the vocal…so so good. Well done Andy Weatherall! To me this song underpins what the scene is all about…coming together, sharing the experience, unification regardless of who you are. Such a perfect track for living to music. Loaded- more wow, more incredible memories! Top brass and gospel singing, real stones feel to it…such a polished and beautiful track. Another prominent one in the sound track of my life. Damaged- much more low key in contrast to the previous. Later songs by the group tend to follow this construct moving away from the rave scene and more indie/rock. This is still lovely…very sweet hammond, piano and guitar sections. I’m coming down- feels quite Floydy again, great fusion of organic and electronic sounds. Cool percussion and eastern sounds. To me this represents the ying yang and the finite nature of the clubbing experience. At some point you have to come down and the desolate feelings that you may experience…such a contrast to the highs and togetherness that came before. Higher than the sun dub, quite a freaky intro, more eastern sounds on the backing vocal…very much like the orb, awesome soundscape. A top dubbed out version. Certainly indications in here of what we would come to hear in the future. I remember hearing this one in the ritz. Shine like stars- back to a housey electro sound, nice sharp keyboards. A childlike innocent feel to this track yet deep at the same time, lovely accordian sounds, lapping water…still an eerie edge somehow. A great choice, thanks Greg! Well I wasn’t too familiar with this album, well not familiar at all just the well know tracks of loaded and the powerful anthem of we are together, the album injected feelings of freedom, eurphoria, power and liberation… enough said! Having been on my own at an airport last time around, being at home with a room full of friends and family this time re-connected me with the essence of Living To Music, which is community. It’s the sharing of the experience that takes things that step further, and, if you haven’t already done it, you should give it a go at some point, even if it’s only with one or two people. Listening to ‘Screamadelica’ in this context, I was struck by its more naive aspects – it’s largely the work of inspired amateurs, which is what gives it its magic. The normal rules had been, in most parts, cast aside, and the band and their collaborators were free to work by their own instincts, and experiment / play with a hybrid of rock / dance / dub / gospel / country themes that, despite this diversity, crystalize it into a far more coherent whole than its sum parts may have suggested. The key to the album for me, and I’m sure many others, is in the Jesse Jackson sample used in ‘Come Together’, where he says ‘Today on this program you will hear gospel, and rhythm & blues, and jazz . All those are just labels. We know that music is music’. It was an album that pointed to new possibilities, so, as I’ve said elsewhere, I was a bit disappointed that the band didn’t kick on from there, and their subsequent releases were pretty predictable after the sonic kaleidoscope that was ‘Screamadelica’. I think it was just the case that they caught the moment perfectly, then the moment moved on, along with their muse. Enjoyed the experience of listening to this album. Some incredibly powerful drum grooves early on even though the latter part of the album was less up-tempo. I hadn’t heard this album before. It’s always good to listen to new (to me at least) music and that is one positive aspect of ‘Living to Music’ I enjoy. It takes me out of my usual listening habits and gives me something ‘new’ to get into, even though the album goes back a bit. The rhythmic aspect is the one I enjoyed the most and thought the harmonic/melodic a bit limited at times. (as opposed to the last LTM of Stevie Wonder). That’s just a personal viewpoint though and as it’s primarily an album aimed at the dancefloor the harmonic stuff isn’t as important. I imagine had I been in a club listening to it when it came out it would have been something else and obviously this album is very much related to that scene into which it was born. I was reading Paul’s comments about the influences and I’ll have another listen as it’s hard to pick up on everything immediately on a first listen. Lots of reverb and atmosphere though! I also have to agree with some of the comments by Heinz and dancing james … one difference between me and the other commentors may be that at the age they were hearing Screamadelica for the first time, I was hearing The Stones’ Sticky Fingers … so I had a very strong sensation of recognition on the Jimmy Miller-produced tunes. But it was Loaded that held me rapt on my first listens to the CD (yep, I just own the CD) back in the day, and I’m grateful to Greg for identifying the Peter Fonda sample, I’ve been wondering about that! 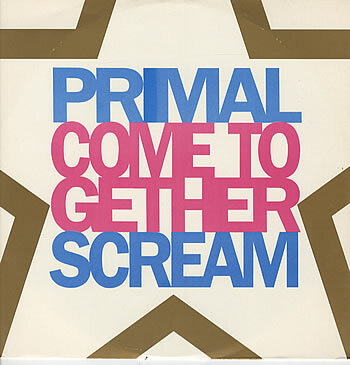 This CD was my intro to Andrew Weatherall … like others, I was disappointed that subsequent Primal Scream didn’t continue the vibe of this release, but I did figure out to look for AW’s connection to other releases and to follow him for more of the sound goodies I associate with Screamadelica. Excellent choice, Greg … thanks again for the whole Living to Music concept. This album again is one which I have only ever dipped into and was surprised by the second half that seemed to take a much mellower turn than the mindbending earlier tracks. An amazing attack on my ears that i fully enjoyed. The main thing i’m loving about LTM is looking forward to the first sunday, what the next one will be and chatting about where others will be listening then, really tuning into that experience that we’re all sharing together. “Just what is it that you want to do? We’re gonna have a party”. What an amazing quote to be sampled by Weatherall from a film that was made in 1966 that would seem so appropriate to the album and to what is stood for in 1991 and still stands for in 2011. I was 20yrs old when this album entered my life and it has been a permanent fixture ever since. ‘Movin on up’ as the opening track with the great guitar and piano and bongo opener, just instantly get your head nodding and uplifts you enough to put a big smile on your face. Then when Bobby starts singing you just want to get up and dance and join in with him – it just gets you up from the start and I defy anyone who reckons it doesn’t. As the album progresses it takes you on a more mellow vibe as it truly is a journey. Previous comments in this thread have covered all what I think and feel about ‘Screamadelica’ and without a doubt you have to give Andrew Weatherall Kudos for his producing skills all over this album and Primal Scream for being the wife or husband in a great album marriage. Resulting in a classic album that is still going to be played for years and years to come. Although, this was my fourth L2M it was my first L2M with a group of special dear friends. It was so nice to share such a special intimate chilled musical experience, of one of my all time favourite albums and if you haven’t already done so, I seriously recommend that YOU GET TOTALLY INVOLVED! Higher than the sun – for me the best track on this album because it brings back so many warm memories of blissful summers. Lovely early evening light at The Hanbury and crisp and bubbly sounds from an amazing sound system. I don’t think I gave Damaged the credit it deserves before but it really stood out for me yesterday. 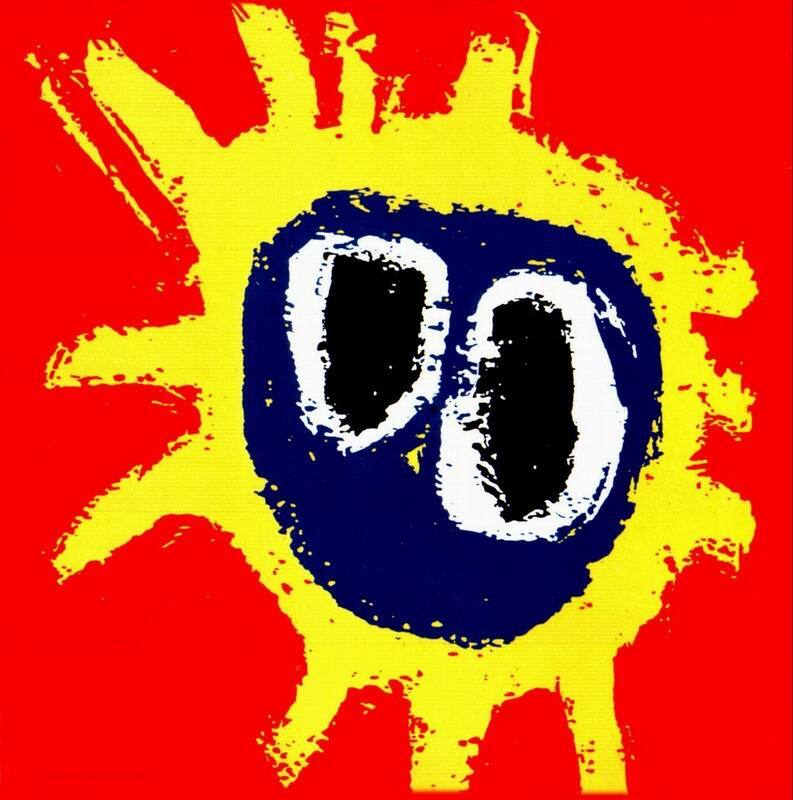 Getting all nostalgic, as I did last night, I wondered which album encompasses the feeling of today in the way that Screamadelica did back then? Unfortunately I couldn’t listen along with everyone else on the L2M Sunday, but I’ve just listened to it now. I dug out the vinyl copy that I bought the week that I moved to Manchester to study at uni in ’97. It needed such a good clean first though! Too many house parties and playing Higher Than The Sun at god knows what o’clock have taken its toll! I’ve owned this chunk of vinyl for 14 years now, but due to the 2 piece format, I’ve never listened to it as a continuous LP. I’ve always used it to DJ with, either playing ‘Loaded’ early on, or the mixing ‘Slip Inside This House’ and ‘Don’t Fight It, Feel It’ into house sets, then as mentioned, ‘Higher Than The Sun’ has always suited a late airing. So despite knowing all of the tunes like the back of my hand, the album journey itself was refreshing experience for me. I’ve never been mad keen on ‘Movin’ On Up’, I like the gospel singing, but I’m just not a huge fan of Bobby’s voice on this track. However I do like his singing on ‘I’m Coming Down’. Mainly because it reminds me of their 1997 tune ‘Star’ (http://www.youtube.com/watch?v=NDi-Pph6UK4), which is a personal favourite, due to the time and place. So ‘Star’ was my first noticeable introduction to Primal Scream, and led to me buying Screamadelica from The Vinyl Exchange. As with most Living To Music albums Screamadelica captures a moment in time perfectly. When Screamadelica was released I was 14, so it was a little bit before my time contextually, in the sense of the scene that it reflected so well. However, it definitely made its way into my consciousness through radio play, and then found its way into my record bag, where it has been ever since. Today ‘Come Together’ really had an impact on me! It’s like I connected with the whole tune a lot more than I ever did. However I’m just bit sad that I wasn’t listening to it at the same time as all of you. Finally, I thought I’d mention the album cover, as it’s such a strong image. It suits the album so well! & I bet a fair few ‘roll ups’ have been manufactured on that!